The Connacht Gold Super and Premier cups get moving this weekend, with 16 games in both competitions down for decision over Saturday and Sunday. 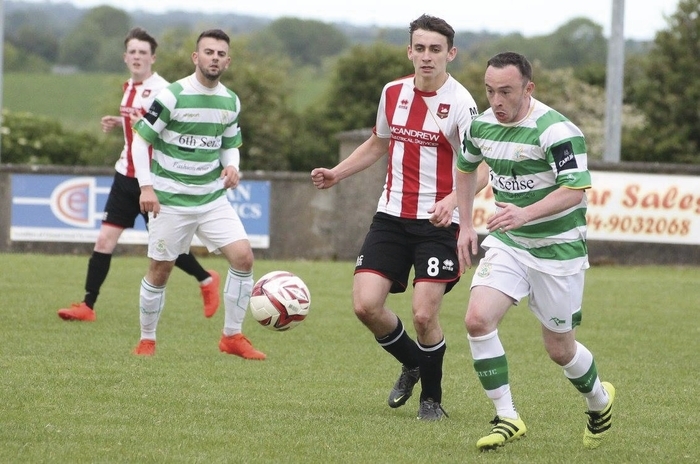 In the Super Cup there are just two all division ties with the meeting of Super League sides Manulla and Ballyglass in Carramore, and Claremorris and Westport United two of the stand-out ties of the round. Glenhest Rovers take on Swinford on Saturday evening in what should be an interesting encounter, with the seventh placed side in the Super League hosting the second placed Premier Division team. Rovers have just two wins under their belt in the league so far, to go along with their five losses and one draw. Last time out they lost 1-0 to Manulla and will be hoping to get back to winning ways against the lower league side. Hitting the net has been hard for them though this term in the league, with them only scoring seven times, and Pat Mulchrone their top goalscorer with three to his name. Killala come into the game on the back of loss themselves, going down 3-2 to Crossmolina in their last game, that was their third league defeat this season to go with the four wins and one draw they have in the division. If they are to see off their higher league opponents they will be looking to Patrick O'Donnell to add to the eight goals he has bagged so far this season. Bottom of the Super League Achill Rovers will host one of the sides they replaced in the top division this term, when Conn Rangers come visiting on Saturday evening. Achill have just one league win to their name so far this season and have lost six of their league games to date. They have not been able to keep it tight at the back conceding 31 goals in their eight league games to date, and no-one has really been hitting the back of the net with any regularity, with Chris Western their top goalscorer so far with three goals. Conn are not tearing it up in the Premier Division after dropping down to that grade this year. They have only won two games, losing three and drawing two more to leave them in sixth place in the table. Having a consistent goal-getter much like their hosts has been a problem, with a number of players hitting the net twice so far this season like Luke Clyaton and Simon Helly, but no-one has scored more than two for them so far this term. Straide and Foxford United who sit in second place in the Super League will travel to north Mayo to face Bangor Hibs on Saturday evening, the visitors have had a brilliant start to the season winning five of their eight games, and have been banging in goals for fun with John Durkan and Paul Moran hitting the net a combined 14 times for them this season and six different players finding the target so far. Their opponents sit in fourth spot in the Premier Division with three wins and two draws garnering them those points. Up front Brian McHale has been in fine form scoring five times for them and they will hope that he and Anthony Coady can combine to maybe cause an upset here. The two all Super League clashes in this round of the cup are down for decision on Sunday at noon. League leaders Manulla will take on local rivals Ballyglass at home in one of these. Manulla have been very consistent so far this year in the league with six wins to their name. Last time out they saw off Westport United 1-0 in the divisional cup thanks to a Chris Maughan goal, but Anthony Elding has been the main man for them in front of goal with five goals so far this season. Ballyglass have been decent themsleves in a tight division and sit in sixth place in the table. In their last game they held Castlebar Celtic to a 0-0 draw and they will be looking to the likes of JP O'Gorman and Danny Broderick to do damage for them up front. When the sides met earlier this season it ended in a 2-2 draw in Manulla. Ballina Town had a horrible start to their season in the top flight, but will hope recent results have seen them turn a corner. Their last two games have seen 17 goals fly in to the net at either end, in a 6-5 win over Claremorris and a 3-3 draw with Ballyheane. They have had a good spread of goal getters so far this season, with Duane Helly, Brendan Lavelle, Dylan McKee, and Stephen Moyles all hitting the net twice in their games so far. This weekend, they will be looking to pick up another win when they host Westport United B. The Covies second string find themselves in eighth spot in the Premier Division with two wins, two draws, and four losses to their name in the league - where they have only managed to find the back of the net six times all season so far. The meeting of Killala and Ballyheane is a chance for both sides to get themselves a much needed win, with both struggling in their respective league divisions. The north Mayo men sit in last place in the Premier Division at the minute, while Ballyheane are just one place off the bottom in the top flight. Both sides come into the game on the back of draws in their last game, with Killala holding Conn Rangers to a 2-2 scoreline and Ballyheane ending up all square at 3-3 with Ballina Town. The second all Super League game in this round is the meeting of Claremorris and Westport United in Concannon Park, the hosts sit in fifth place in the table with the defending league champions currently two places in front of them. Dean Roddy has been in fine form in front of goal for the hosts scoring half a dozen for them so far this year, with Derek Glynn and Andy Peters finding the net five times each. For United, Adam Mulchrone has been their top scorer with four goals so far, and nine players in total have managed to find the net for them in their games. The last game in this round of action is probably the most interesting, a rejuvenated Iorras Aontaithe are sitting on top of the Premier Division as they strive to return to the top flight on their first attempt, travelling to take on Castlebar Celtic on Sunday afternoon. Iorras have been ripping it up in the second tier so far this year with Brendan Nallen leading the charge with nine goals so far. Castlebar Celtic sit in fourth spot in the table in the Super League at the minute with four wins, two draws, and two losses to their name to date. Liam Flatley has been in fine goal scoring form and has found the target nine times so far this season and overall Celtic have hit the net 30 times.